High street retailers including Primark, Superdrug and Next have been named top in the battle to engage customers in the noisy Christmas social landscape, beating online-only retailers. Using social media research and analysis, full service digital and commerce agency Greenlight has uncovered the retailers winning on social media this festive period. The research, which was based on Christmas-specific post engagement across Twitter and Instagram over the past three months for the nation’s top retail brands, shows that high street retailers have garnered the greatest engagement levels across social media. Primark has come out on top with engagements across posts relating to Christmas achieving over 1.5million interactions on Instagram. This includes likes, comments, views and shares. With high street retailers continuing to face negative news and pessimism when it comes to the UK high street, online engagement has become more important than ever to keep customers interested and loyal to brands and retailers. Being a high street only brand hasn’t stopped Primark from establishing a cult social media following by creating high-engagement posts and working with authentic and beloved influencers such as @alexandmike or @three.little.thinkers. The research also reveals that quality over quantity counts for a lot when it comes to engagement on Instagram, with Superdrug taking third spot in terms of volume of engagements from only two posts. The findings showed that high engagement can typically be attributed to those brands which are hosting competitions on their social channels – which will continue to drive high engagement numbers in the run up to Christmas. Primark’s success in captivating a social media audience roots in its overall strategy to create a festive aesthetic that is consistent throughout content. It is this consistency in messaging, tone, and visuals that help brands connect with audiences, and can be especially effective once weaved into a festive narrative. Commenting on the findings Hannah Kimuyu, Director of Paid Media & Audience Insights, at Greenlight, says: “High street retailers cannot become complacent with social media. It’s an immense online touchpoint with customers that build levels of brand loyalty needed to help keep the UK high street alive. 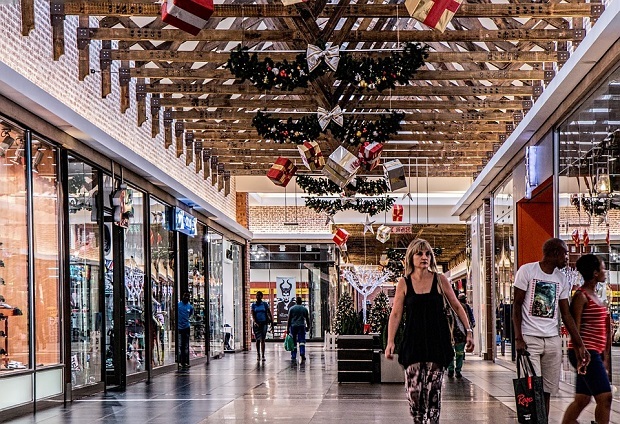 “With high street retailers continuing to face negative news and pessimism when it comes to its survival, online engagement has become more important than ever to keep customers engaged. It’s easier than ever to use social media as a form of commerce thanks to the shopping function on Instagram. “Not only that, but the social data you gather from social media is a valuable tool when it comes to understanding the behaviour, likes and interests of your customers. Gaining this information is essential in understanding core audiences and delivering tailored, relevant content – whether that be during the festive period or beyond”. It’s not always quantity over quality. Having great, stand-out visuals and consistent messaging that’s backed by paid social can lead to strong performance and efficiencies. Use social media listening tools and a data management platform (DMP) to gain granular detail about what content customers are engaging with. Only by understanding your audience’s online behaviour and how they interact with brands on social media, can you build a successful brand and communications campaign that will convert fans online into customers in-store.